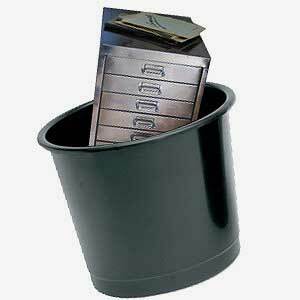 Here it is, that age old question in business; where shall I store my documents? Every organisation is different. They deal different amounts of documents daily and have different sized premises so what can they do? Well, there are a number of solutions so let’s take a look at them. This is a common solution and one that dates back many years when the staple of an office was the grey filing cabinets standing to attention and filled with important documents. This storage option always seems like the obvious choice for offices as it can be cheaper than storing documents off-site. But filing cabinets, folders and boxes create unnecessary clutter in the office which could breach health and safety advice. If the documents are stored in filing cabinets in a designated storage room on-site then you could be throwing away money and space as the room could be rented or used more efficiently instead. As I have already mentioned, storing your documents off-site can be expensive. Having them off-site also means that it will be harder to access them when needed. 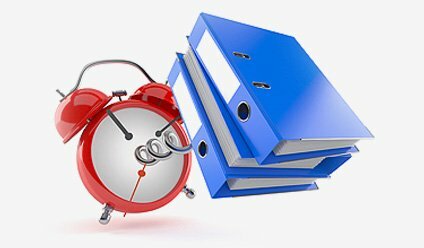 You will need to request the documents you need and even if you have pre-empted this and requested them before they are needed, it could still take days for the document to arrive with you. We will collect your documents from your offices of storage facility anywhere in the UK. We then store your boxes in our secure warehouse for no fee. We will scan your most recent files and shred (without scanning) all expired files, depending on your storage period. Example: If your storage period is 8 years and you have files from 2006, we will begin to scan 2014, 2013, 2012 etc files and in 2015, we will shred the 2006 files. Subsequently, in 2016 we will shred 2007 files and in 2017, 2008’s files will be shredded. This will continue so after 3 years we will have scanned 3 years’ worth of files and shredded 3 years. Please note, free storage has a time restriction and is subject to availability. Another service we offer here at Pearl Scan is Scan-on-Demand. For this service, we can collect your boxes, once again from anywhere in the UK, and bring them back to our secure storage facility. We will store them in our warehouse and when you need a document, you can request it via our file request system, through your desktop or online. 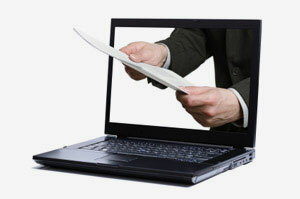 We will then locate your file, scan it and upload it to our secure FTP system. Following this, you will have access to your file within 2 hours (premium service) or 24 hours (standard service). This solution is great for those who want to keep their documents in storage but want quicker access to the files when needed. Every company is different but here at Pearl Scan we offer a range of services that can be tailored to your needs. Our flexibility makes Pearl Scan an attractive solution to many organisations document scanning needs. If you would like some more information on our secure document storage with Scan-on-Demand or Store to Scan services or any of the document scanning solutions we offer, get in touch today. We will be happy to help.